Gosh, my journey of self-love has been a REAL JOURNEY. When I was younger, I always thought my friends were perfect. They literally looked like the VERY OPPOSITE of me--they were long, straight haired girls, half of my size with beautiful blue eyes. Meanwhile, I couldn't even fit into the "cool stores" they were shopping at. Later in high school, I took things into my own hands without talking to anyone, and developed an eating disorder. I truly spiraled out, and was really down because I just felt like I could not relate to anyone or anything around me. It honestly wasn't until I was around 21, and suggested to go to a rehab center for my eating disorder that I realized "Jazzmyne, you have to love yourself more than this." For me, I knew in my heart of hearts, that I had enough control of my eating disorder to take that energy, and put it into loving myself. From that moment on, I started taking steps towards appreciating myself: my mind, my body, my personality, etc. Even if no one around appreciating me, I knew that I could rely on me always. "Jazzmyne, you have to love yourself more than this." I will admit that there are days where slipping back into my negative/unhealthy thought process definitely seems like something I should consider, but GOSH I just honestly remember how miserable I was during those lower points in my life, and I would much rather just try to do anything but the unhealthy things I was doing before. I will say though, I really have been focusing on processing my emotions. Before, if I felt out of control, I would turn to unhealthy options. Now, when I am feeling out of control, I really just take time to process my feelings instead of making an impulse decision. Just really settling in my emotions, and thinking about how I feel and why I feel that way, and letting myself be sad when I am sad, and knowing that that is truly strong and okay to recognize my true feelings and process them. Now, when I am feeling out of control, I really just take time to process my feelings instead of making an impulse decision. Honestly, what has gotten me to this point was my younger self, and knowing that I would have done ANYTHING to see/hear someone like me when I was younger. I look back and know that if I watched someone speak about her life like I do now, I would have felt at least seen, and not so alone. I realized that I have a platform that I can help people of all ages, sexualities, styles, pronouns, to feel more comfortable being themselves. I think seeing my opportunity to help people has gotten me to this point. I realized that I have a platform that I can help people of all ages, sexualities, styles, pronouns, to feel more comfortable being themselves. 1) Give yourself time to process your emotions: it is okay to be emotional and to feel things and to process those feelings. That's how you will truly understand yourself and move forward (in my opinion). 2) To the younger audience: I know growing up and going to middle school and high school seems so damn important right now, but honestly, there is so much more to life, and that time will come. If you aren't the cool kid, or hanging out with the popular people--just know that is fine, and you are so valuable and bring so much to this world. 3) Be nice to yourself. Yes, if you have family and friends, they are amazing, but YOU are who you have to be with literally all day every day--so treat yourself with value and worth <3 . Jazzmyne is a Buzzfeed producer for As/Is, and an ASOS supermodel baddie. 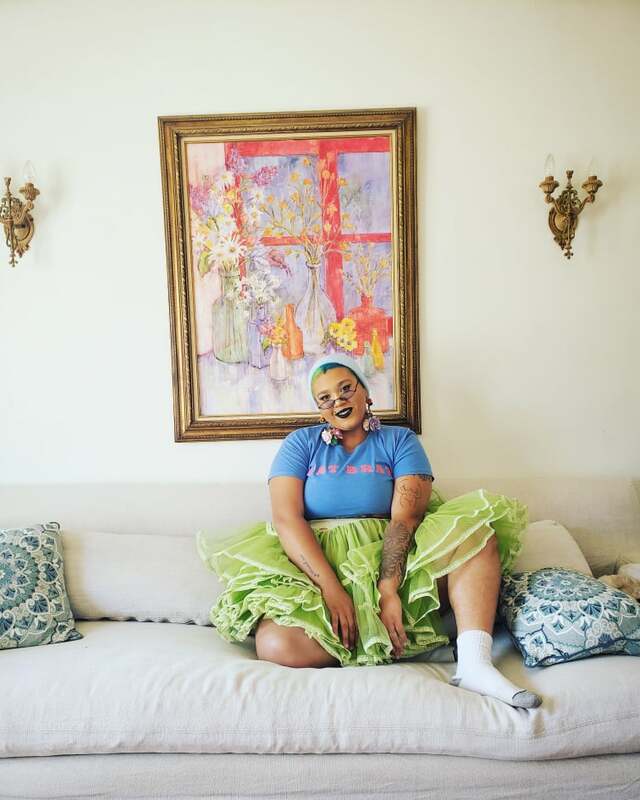 You can keep up on her self-love journey on Instagram, @JazzmyneJay.